Just 29 miles northwest of Boston, and just down the road from historical Concord and scenic Harvard, Acton is convenient to major highways I-495 and Route 2, while presenting the gorgeous scenery of the idyllic New England countryside. A highly sought after community, Acton is home to approximately 22,000 residents. The town encompasses 20 square miles of land and presents an arboretum, various sports fields and complexes, two libraries, a number of museums and historical sites, and one of the top school districts in the state. 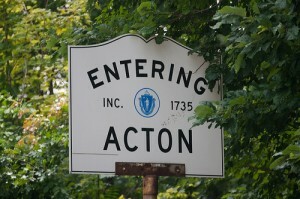 Acton also boasts a commuter rail within the town, making daily commutes into Boston a popular choice among commuters. Highly acclaimed for its education system, students in grades K-12 attend schools in the Acton-Boxborough Regional School District, which contains six elementary schools, one junior high school, and one high school, which has been named by Boston Magazine as the number three-ranked high school in Massachusetts. Additionally, it has been recognized as a Blue Ribbon School by the U.S. Department of Education and was ranked number seven in STEM education by U.S. News & World Report. Earning a spot on Money Magazine's "Best Places to Live" list multiple times over, homes in Acton tend to come at a premium. Ranging from the high $200,000's for a small condo to half a million for a well-maintained mid-sized home, all the way upwards of $1 million for a newer and/or larger home, real estate prices are wide and varied. Updated: 19th April, 2019 7:19 AM.